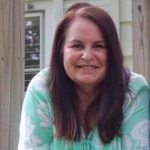 On Saturday December 1, 2018 Katie Bridges, loving wife, mother, and grandmother, passed away at the age of 67, at home surrounded by family. She is survived by her husband, Edward Bridges; her daughters, Nicole (Walter) Musumeci of Champaign and Kelsey (Dan) Outlaw of Savoy; grandchildren Jameson Outlaw and Massimo Musumeci; her mother, Lennie Semonin of Champaign; her sister, Patricia (Brad) Walsh of Princeton, Texas; nephews Brandon and Lance Walsh of Texas: her brother, Jim (Patricia) Semonin of Champaign; niece Jessica Semonin of Florida; nephew Grant Semonin of Champaign; and many cousins. She was preceded in death by her father, Richard Semonin Sr, her brother, Richard Semonin Jr, and nephew Ryan Semonin. Katie was born on November 29, 1951 in Rantoul, Illinois to Richard and Lennie Semonin. She grew up in the Champaign Urbana area and attended the University of Illinois at Urbana-Champaign, earning her bachelor’s degree and later her master’s degree in education. Katie taught at Urbana Middle School for 34 years, and after retiring in 2009, continued to sub at UMS until spring of 2018. As a geography teacher she opened the eyes of her students to the world, introducing them to different cultures, histories, and languages. A dedicated educator with huge impact on the thousands of students she taught, she served in numerous leadership roles within the school district, including involvement in the pioneering peer mediation program introduced at UMS in 1989. She was beloved by not only the students but the staff as well, with whom she formed many lifelong friendships. The effect she had on young people was demonstrated on hundreds of occasions, when a current or former student would approach her in a restaurant or supermarket, give her a giant hug, and tell her that she was the best teacher they’d ever had. Katie’s insatiable appetite for travel was sparked early, when she skipped her college graduation to set out with her brother Richard on a cross-country road trip, hitchhiking their way to California. After her marriage to Ed in 1976, they honeymooned for a month, heading again out West, where they camped along the Colorado River and saw the Grand Canyon. Her love for camping and travel and her passion for people and places were later shared with her daughters, and the family took many trips all over the country, including annual visits to Gulf Shores, Alabama, in the spring and Pere Marquette State Park every winter. Katie’s love for travel and her dedication to young people came together when daughter Kelsey was in high school, and Katie took her, four friends, and cousin Sue on a trip to Europe. After that experience Katie decided to get involved with the People to People program. In over 10 years with the program she led hundreds of students around the globe, to Australia, New Zealand, Fiji, France, Germany, Italy, Switzerland, England, Austria, Ireland, Netherlands, China, Malta, and Greece; on these trips the students were introduced to new cultural experiences, foods, languages, and so much more. Her leadership was astounding, and anxious parents were always soothed to know their children were in her hands. She felt it was so important to expose young people to the world, to have them step outside of their comfort zones and grow, and to return to the U.S. with a newfound perspective on the world. In 1997, Katie was awarded an educational scholarship to travel to China for three weeks; she developed a great love for the country and returned several times. Two of those trips were for her and Ed’s 35th and 40th wedding anniversaries, where they visited the Great Wall, experienced the Terracotta Warriors and the Forbidden City, sailed the Yangtze River, and enjoyed many positive interactions with the people of China. While daughter Nicole was serving in the Peace Corps in Zambia, Katie and Ed traveled to Africa to spend time with her. Katie had worked with her People to People group to bring thousands of donated seeds for the local farmers; she and Ed were warmly welcomed and thanked for this gift with song and dance. They slept in Nicole’s mud hut and attended a traditional Nyau dance in the village, and Katie was overwhelmed by the generosity and warmth she felt from the Zambian people. Katie also experienced a safari with her husband and daughter, and she was awestruck by the magnificent beauty of the African wildlife, which she captured in over 1,000 photos. Katie was known for her impeccable style from head to toe, and her seasonal decorating would have impressed Martha Stewart. As a lifelong Catholic, she found her spiritual home at Saint Mary’s Church, where she was an active member for the last 45 years. She was strong in her faith and was guided by it throughout her life. She had an undying love and passion for her family, as well as tremendous compassion and grace for others. She had a profound and lasting impact on everyone who ever met her, and she will live on in all of us. Today the universe is a little darker and the night sky is a little brighter. Kay was my best buddy when we went to Flossie Wiley. I am so saddened to hear of her passing. Her smile not only showed on her lips, it was in her eyes also. We are so sorry we could not be there for the services! Katie made such a difference in the lives of many! We are so very sorry, Ed and family! Be comforted in knowing how much she was loved and will be missed! Katie was always warm and generous of spirit. She always made the extra effort to come up to us and chat and offer a hand for church events. We enjoyed our chats with Ed, Katie and family. We regret that we have been out of town and are unable to attend her services. Reflecting on a life well lived in the time that she was given. Mrs. Bridges was a big part of my favorite year in Middle School. I remember how she would tell us stories about her trips and she always had the best jokes. She was a sincerely sweet woman with the best style and the most loving smile. What a great memory she leaves on more than she probably even realized. Praying for peace for the family as you grieve her passing. Katie was an outstanding classmate in 7th & 8th grade, but after reading her obituary, she definitely lived a full & rewarding 67 years. Very sorry for the loss you feel. Katie always had a smile on her face during our high school years, since then I haven't seen her much, but when I have, she always had that wonderful smile. My thoughts and prayers are with Ed and family. We all loved her very much.